There's a bit of a theme over the pony books featured in the next few days. 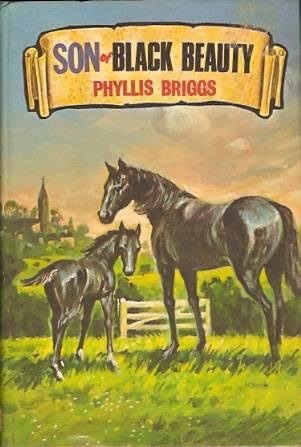 Anna Sewell's Black Beauty has already featured, but it inspired many spin offs, and that's what the next few days will cover. 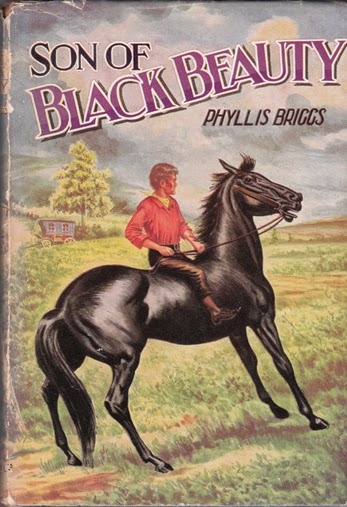 Today's book is Phyllis Briggs' Son of Black Beauty. I will be charitable to this book, and assume that Anna Sewell drew a Victorian veil of decency over Beauty's exploits before he was gelded, and his foray into a nearby field full of mares. I hadn't realised until I started researching this post, but the latest Dean edition, illustrated below, is retold by Georgina Hargreaves. The earlier Dean is abridged. So, stick to the first edition if you want the full text!